When Should You Risk Hunting Bedding Areas? Do you hunt deer bedding areas or not? It’s one of those topics that tends to send people grumbling, quickly turns conversations sour, and can neatly organize hunters into two different camps. There are plenty of well-accomplished hunting experts claiming the merits of both approaches. But which one is correct? Is there even a correct choice? Let’s look at both sides of the issue to see when hunting these secret gems is appropriate and when doing so may ruin your chances at harvesting a nice animal. Many hunters steer clear of bedding areas because there is a notion that wandering into one will spook animals, particularly mature bucks, off of your land, onto the neighbor’s property, or into the next county. And in many cases, this is true. If a wise, old whitetail buck doesn’t feel safe in his bedroom, why would he stick around particularly as the season continues? Besides that, deer hunting bedding areas is downright difficult. It would be tough to hunt a bedding area more than a couple times before you inevitably let the deer in on your plans. Surprise is your only real option. The experts from this group claim that instead of pursuing bucks into their core bedding areas and sanctuaries, you should set your stand up along travel corridors between these areas and food or water, where you can ambush them without the fear of pushing them away. Typically, you should be able to more easily sneak into and out of these corridors than going into an actual bedding or feeding area. This deer hunting approach works well for those hunting on private land, as they have the option to leave sanctuaries alone and the incentive to hold as many deer on their property as possible. Other deer hunters prefer to jump right in or close to bedding areas, sneaking into them in the very early morning hours before deer have returned from feeding areas. That way, they’ll be waiting in ambush for unsuspecting animals to come back. Several experts hold out for the perfect weather conditions during the rut, and then sneak into doe bedding areas to hunt them. 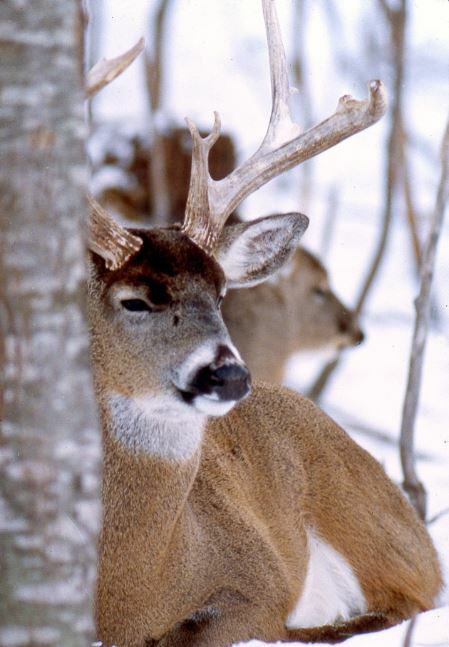 During the rut, bucks will be throwing caution to the wind and inspecting all areas where does congregate. By taking this approach, hunters are limiting their intrusion to the best potential hunting opportunities of the season, which outweighs the risk of bumping deer. Basically, they try to stack the deck as much in their favor as possible. The key behind deer hunting these areas is truly being there from well before light to well after dark, so you don’t educate deer to your activity. 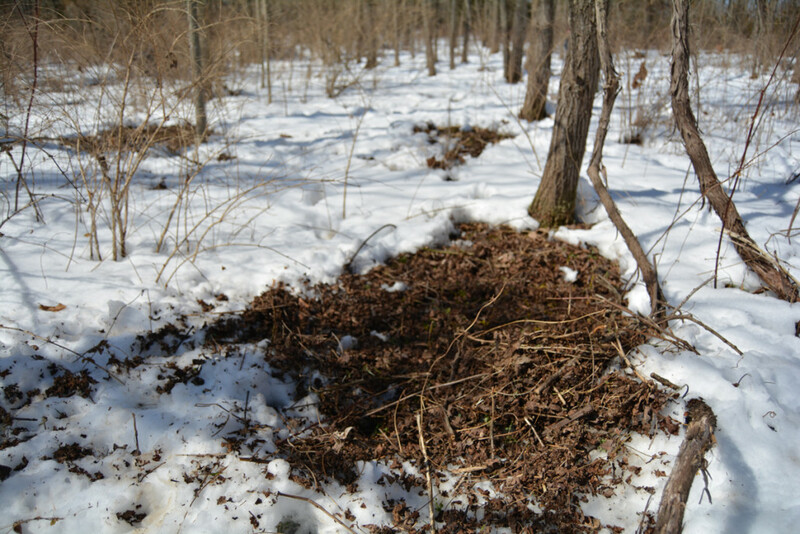 If you find a good doe bedding area (e.g., lots of beds all in close proximity), try setting up on the downwind side of it. During the rut, bucks will often circle these areas downwind to scent-check for estrous females, putting you right in his direct path. 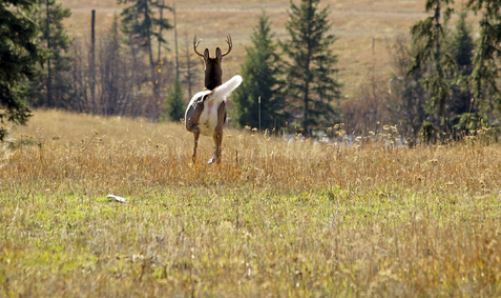 This deer hunting method is probably best used on heavily pressured public land, where you often need to be aggressive to find mature bucks. Based on the information from both parties, it seems a balance could be struck between strictly avoiding and always hunting bedding areas. It’s certainly true that deer will feel more secure on your property if they have a few sanctuary areas that you never enter. Keep these sanctuaries located toward the interior of your land, and only disturb them to retrieve an animal or do maintenance in the winter or spring. That being said, if you own more than 40 acres, it’s likely there may be other bedding areas on the periphery of this sanctuary that you could hunt. A good time to break the bedding area avoidance rule is toward the end of the season when you need a Hail Mary play. You’re not going to cause any lasting damage at this time of the year, so sneak into the thickest cover and see if you can find that elusive buck that disappeared from your food plots weeks ago. Every time you enter one of these hidden spots, make sure you’re as quiet and scent-free as possible, and utilize good entry and exit trails to avoid detection. If you do that, you just might luck out with a nice buck.